This is a subscription based, fully automated service which will go on until you reach the amount of uploads you have purchased. For this service we will only require your Instagram username, and no additional information will be requested. Please use the above drop-down lists to choose your required amount of views per upload (video) and from the "quantity" drop-down list choose how many uploads you would like this subscription to go for. You may choose 1, 5, 10, 20, 50 or 100 from this list. If you choose 10, your next 10 upload will receive automated views. What am i being charged for this service? Basically we are taking a payment in advance for your future posts on Instagram. So you are charged the amount of views you have have chosen to receive, on as many uploads as you have chosen to. How does it work? Do i need to let you know each time i upload a video on Instagram? No, you do not need to let us know. Once we have set-up your account on our system, you will receive the views automatically almost as soon as you upload a photo. Basically our system will periodically check your account for new uploads, and as soon as it detects an upload, you will start receiving views. How soon can i see the results, after I have placed the order? There is an initial set-up time which could last as long as 12 hours (usually between 1 hour to 6 hours), after you have placed an order with us. Once your account is set-up you will receive a confirmation email from us, letting you know that your account is now ready to go. 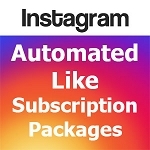 Once you receive the email, you can start uploading on Instagram, and your next uploads will receive views automatically within 5 minutes you have uploaded them. Why do you say "approx" amount of views, how many views will i receive per upload? In order to make the views look more natural, we are adding a random amount of views within a 10% range of the amount purchased. This could be 10% more or 10% less than the amount purchased, and it will be random. Could you elaborate? How exactly do i order? First of all, we need your Instagram username, so please enter your username into the text-box above. 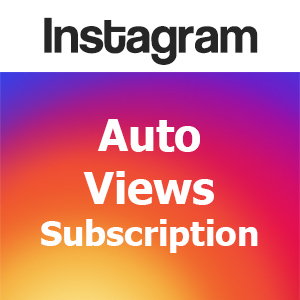 Then, please choose the amount of views you would like to receive per instagram upload (video), from the drop-down list. And finally, order the quantity required from the "quantity" drop-down list. The current options are 1, 5, 10, 20, 50 and 100. This is the number of future uploads this subscription will go on for. For example if you would like your next 50 upload to receive views, then please order 50x of this service.